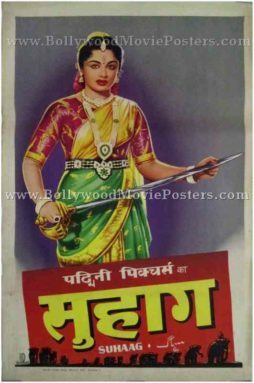 Old Hindi film poster for sale of the Bollywood movie Suhag (1958). This is an actual surviving old Hindi film poster for sale of the 1958 film Suhag, which starred two of the biggest stars in Tamil cinema, Sivaji Ganesan and Gemini Ganesan in prominent roles. Directed by B. R. Panthulu, the film starred M.V. Rajamma in the lead role. 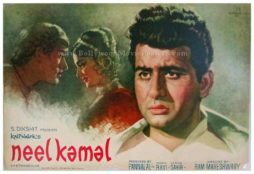 Printed and circulated during the original first release of the film (somewhere in the late 1950s), this old Hindi film poster for sale was printed for publicity of the film but never ended up being used. 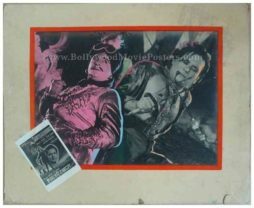 This old Hindi film poster for sale was originally designed in hand painted oil on canvas format by a leading poster design studio in Madras, making it highly collectible. The printed signature of movie poster designer G.H. 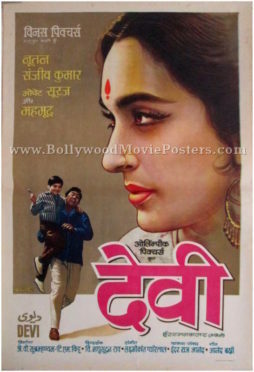 Rao is seen on the bottom left of this old Hindi film poster. 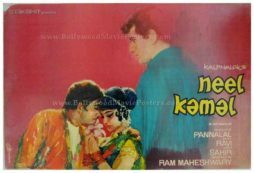 This old Hindi film poster displays the use of bright radiant colors, which gives it a stunning eye catching appearance. A brilliant hand painted portrait of lead actress M.V. 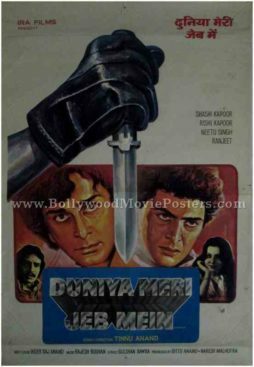 Rajamma holding a sword is seen prominently in this Hindi movie poster. 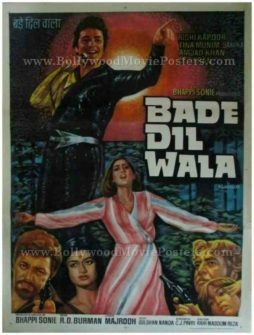 Old Hindi film poster of the Bollywood movie Bade Dil Wala (1983) for sale. This is an actual surviving old Hindi film poster for sale of the 1979 Bollywood movie that starred Rishi Kapoor, Tina Munim and Sarika in prominent roles. Printed and circulated a few years after the first release of the film (somewhere in the 1980s), this old Hindi film poster for sale was originally designed for publicity of the film but never ended up being used. This old Hindi movie poster was originally hand painted on canvas by noted Bollywood poster painter Vasudeo. Fabulous hand painted renditions of the lead couple Rishi Kapoor and Tina Munim are seen prominently in the poster. 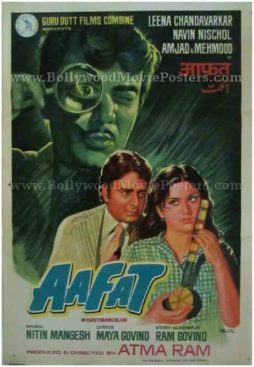 Smaller hand painted portraits of supporting actors Amjad Khan, Sarika and Pran are seen at the bottom of this old Hindi film poster.